Six-time Bathurst 1000 champion and FOX SPORTS presenter Mark Skaife will join the V8 Supercars commentary line-up as part of a joint production between Supercars Media and FOX SPORTS for the 2016 V8 Supercars Championship. The V8 Supercars Hall of Fame member will join the voice of V8 Supercars Neil Crompton in the commentary box, starting with the season opener Clipsal 500 Adelaide on March 3-6. 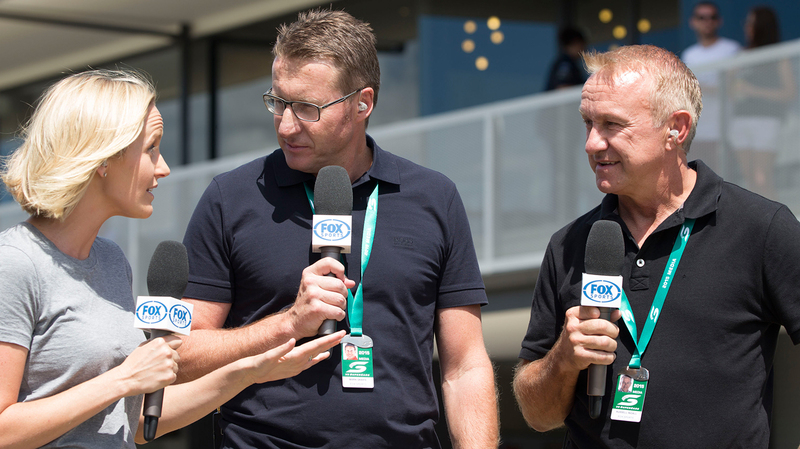 Respected broadcaster Greg Rust will move from the commentary box to pitlane where he will continue in a lead role in the overall delivery of race weekend with four-time Bathurst winner Greg Murphy and Riana Crehan. Jess Yates and two-time Bathurst winner and 2005 V8 Supercars Champion, Russell Ingall, will again host the FOX SPORTS coverage. V8 Supercars Chief Executive James Warburton said coverage of the sport would be bigger and better than ever in 2016. “We are very excited about 2016 after a 29 per cent increase in TV ratings in 2015. Under our broadcast agreement, fans are able to enjoy an unprecedented, continuous coverage across all of our events. “We have now moved to a streamlined one production model using the resources of Supercars Media and FOX SPORTS that will deliver an enhanced coverage of the sport for our fans across Australia and overseas. “2016 is set to be a massive year for V8 Supercars. We have a new and expanded calendar with our first ever Championship round in Malaysia, the KL City Race, on August 12-14. FOX SPORTS CEO Patrick Delany said: “In 2016 V8 Supercars viewers will receive the best ever coverage of their sport, highlighted by increased access, opinion and analysis from FOX SPORTS’ Mark Skaife. The 2016 V8 Supercars Championship will begin with Clipsal Adelaide 500 on March 3-6. It will be broadcast live and ad-break free on FOX SPORTS and live on Network Ten.